The sound of scrambling feet woke me up. Shuffle, shuffle, pause. Shuffle, shuffle, pause. I lay still and slowly peeked out of my sleeping bag. A ghost crab stopped a few feet from my face. Its milky-white shell glowed in the moonlight. Its black eyes stared at me from the top of two thin stalks, unsure what to make of the suddenly living mountain rising in front of it. I stopped and tried to will myself to invisible. “Food or foe? Food or foe?” it seemed to ask as we both looked at each other for a moment. Then it burst away, decision made, its armored feet clattering across my groundsheet, over a paddle, and to the sand where it disappeared in a hole. I lay down and closed my eyes, listening for that patter of claws and feet until I drifted off to sleep. Wildlife plays such an important part of stepping outside. For over 1,500 miles of this trip along Florida’s coast, Florida Wildlife Federation made sure that I paddled through vibrant ecosystems filled with wildlife which is why I’m honored to be named their 2013 Outdoorsman of the Year. I couldn’t be at the award show in person, so I made an acceptance video (see below). Please watch it and go to Florida Wildlife Federation’s website to see how you can help protect all the wild things we love. 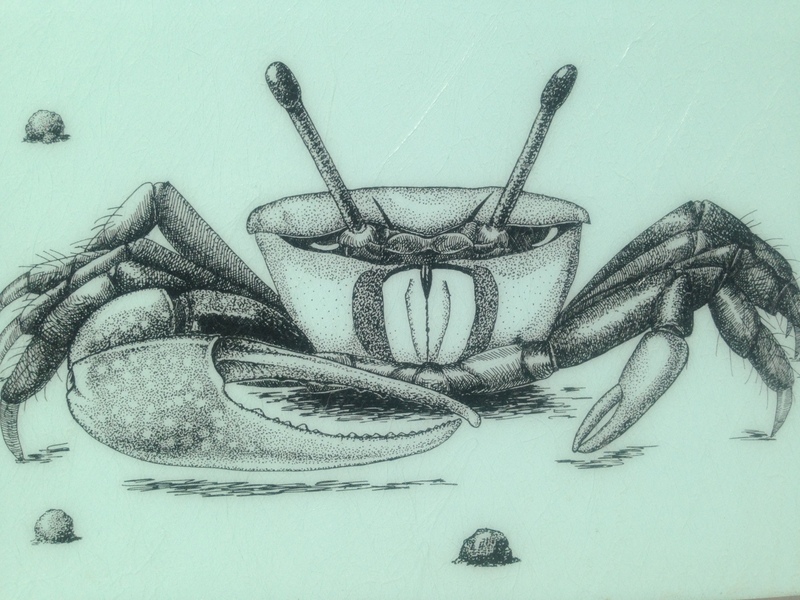 Posted in Angle to Key WestTagged crabs, florida wildlife federation, videos, wildlifeBookmark the permalink. Congratulations on your award… well done my friend. Daniel: Great picture of you with NY Riverkeepers by the Hudson (in Tweets update). Delighted you continue to keep in touch and help orgs protecting our waters. Congratulations! Your love of the wild, your seeing beauty all around you, and your definition of “remote” — you’ve earned that award, Floridian. Looping your earlier AT excursion is just icing on the cake. Glad you were welcomed by the Riverkeepers. I laughed at the Instagram caption: “I found the swarm.” You mean “I found the twosome.” Still. beautiful pisture of them. Must be amazing to see thousands of them.